Great deals abound! The anime swap meet is part of the Hawaii Collector’s Expo which will be held February 23-24, 2019 at the Blaisdell Exhibition Hall. If you held onto your Kawaii Kon 2018 or Comic Con Honolulu 2018 badge you can get into this event free! For more information, please visit the Hawaii Collector’s Expo website. In addition to hosting the swap meet, we will also have activities and fun for cosplayers! If you’d like to get in a test run of your cosplay, we’ll be hosting a cosplay parade around the expo (time TBD). 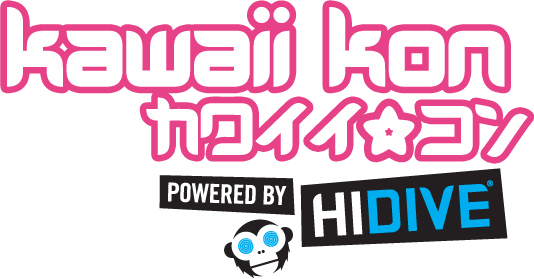 Memberships to Kawaii Kon will be on sale at our booth for $5 off the online price. We accept both cash and credit. You must be 18 years or older to sell at the Anime Swap Meet (ASM) You must register online. Slots will be filled on a “first come, first served” basis. Booth space will be assigned on the first day of the event. You must register no later than midnight 2/20/19. All registration forms will be time stamped. The Anime Swap Meet will occur on Saturday 2/23 and Sunday 2/24, 2019. As the vending space is on the floor, a low stool, floor mat / blanket / towel, or comfy cushion is allowed and suggested. You may also bring low (< 20″) tables for displaying your goods. However, please do not bring full-height tables , shelves, display cases, or the like with you to the ASM. You may bring 1 (ONE) full sized garment rack. The Swap Meet is intended for used items or items from personal collections. You must stay at the show from opening to closing. The venue does not allow early pack-out. You may however, only stay for one day or the other if you so choose, but there will be no discount provided (so it will be $25 whether or not you stay for both days).